Published: August 1st, 2018 by Simon. Filed in Kitchen and tagged benchtops, Silestone benchtops, stone benchtops. Updating your benchtop is a sure-fire way to give your kitchen a complete transformation. With new kitchen benchtops, you can give your space better visual appeal and more functionality. Moreover, replacing a benchtop is very straightforward and easy, so there’s really no reason why you shouldn’t upgrade – and you won’t be the only one doing so. Houzz’s 2018 Australia Kitchen Trends Study reveals that a large number of Australians updated their kitchen benchtops last year. Of the people who updated their benchtops, 34% chose quartz as the surface material while 16% and 15% chose laminate and granite respectively. While engineered quartz is the most popular material choice for kitchen benchtops, middle-aged homeowners go with it the most. Houzz reports that 36% of homeowners between 35-54 years of age chose quartz as their benchtop material as compared to 34% of homeowners under 35 and 32% of homeowners over 55. This just goes to show that engineered quartz is the #1 benchtop choice here in Australia. Today, I will discuss why you should also consider choosing an engineered quartz benchtop for your kitchen. I’ll also throw some light on Silestone quartz benchtops, which you can purchase from us at Ross’s Discount Home Centre. So make sure to read through till the end! Why choose engineered quartz for your kitchen benchtops? 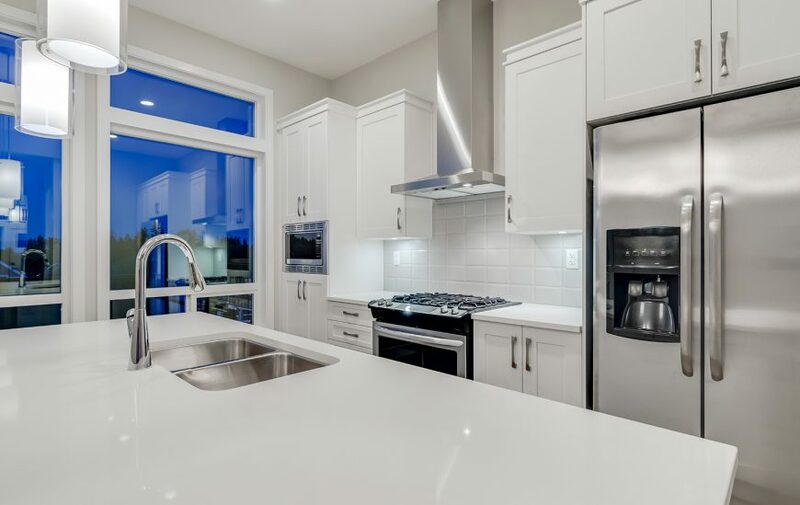 As I mentioned, engineered quartz is the #1 choice for your kitchen benchtop, and there are several reasons behind this. First of all, engineered quartz benchtops are available in a range of stylish and versatile designs. From coloured benchtops to benchtops that replicate the look of marble or natural stone, engineered quartz comes in a range of designs. With so much freedom of choice, an engineered quartz benchtop will allow you to design the kitchen of your dreams. Aside from the design aesthetics, engineered quartz present other great benefits. It is stain-resistant, scratch-resistant and chip-resistant. This makes it a high-performance material, which is incredibly hardwearing and durable. Trust that an engineered quartz benchtop will last you several years to come. And, compared to natural stone or marble benchtops, engineered quartz benchtops offer almost no maintenance at all. You won’t need to reseal the surface of an engineered quartz benchtop to make it look new. In fact, you don’t need to do much beyond regular cleaning to maintain it. Finally, engineered quartz benchtops are far more affordable than stone or marble benchtops. Even excluding the maintenance costs, engineered quartz is still far cheaper than many other benchtop materials. No wonder so many people go with it for their kitchen benchtops here in Perth. Why buy a Silestone benchtop? Silestone is a form of natural quartz, which is also an incredibly popular choice as a benchtop material. Silestone offers amazing looks, and it is available in a range of colours, designs, and textures. As such the demand for Silestone benchtops is also quite high. Silestone offers all the advantages of engineered quartz. It is stain-resistant, acid-resistant, impact-resistant and scratch-resistant, making it perfect for use as a benchtop material. Also, Silestone benchtops are affordable, and they are available in a range of textures and finish options. For the Silestone benchtops in Perth, look no further than Ross’s Discount Home Centre. We offer a full range of stone and laminate benchtops, including our Silestone benchtop range. Take a look at our range of benchtops on our online store and place a special order for us to purchase one. Engineered quartz is the #1 benchtop material choice here in Australia. That’s because engineered quartz benchtops are available in a range of designs and colours, they are stain-resistant, scratch-resistant, durable and hardwearing. Engineered quartz replicates the look of natural stone but comes with no maintenance. Another reason for its popularity is that it is far more affordable than marble or stone benchtops. If you’re looking to use engineered quartz for your benchtop, consider Silestone. We offer one of the largest selection of Silestone kitchen benchtops in Perth. Drop by our showroom in Guildford or get in touch with us to order your Silestone kitchen benchtops today! Stone benchtops Vs laminate benchtops - which is the better option? Is Grey the new colour of choice for Kitchens?